On 16-17 April, in Paris, the 25 recently approved Transfer Networks will start their journey with URBACT. be equiped with what they need to properly manage and develop their project in the following months. The meeting will be dealing with what the 6-month working phase encompasses as activities. URBACT Secretariat's team members and experts will provide the new networks with tools to help them enlarge their partnership, hold transnational meetings, draft their transferability study, run URBACT local groups and start their communication activities. Experienced cities within URBACT will share their advice with newcomers on topics such as how to lead a network or manage expertise. Find out more about the 25 approved Transfer Networks here. 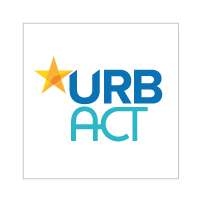 Follow URBACT on social media (Twitter, Facebook, LinkedIn) for more information on the networks' activities.